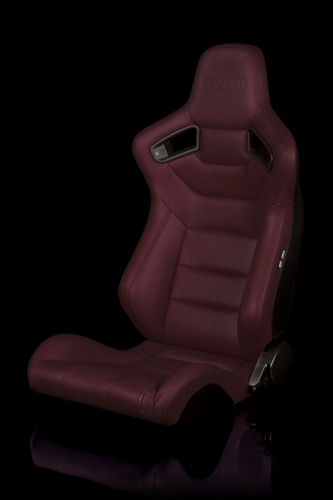 Are custom colors and materials available for BRAUM seats? Please contact bespoke@braumracing.com for more information. Can I order one seat? 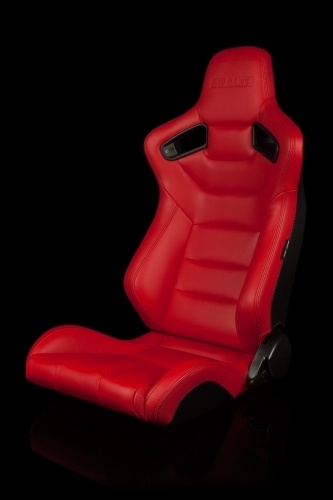 Our fixed-back seats can be ordered individually or in pairs. Unfortunately, our reclinable seats can only be ordered in pairs, and both seats must be identical to each other. Will the seats fit my car? In order for one of our seats to fit in your vehicle, you will need two things: seat brackets made for your application, and sufficient interior room. If your seat bracket is not compatible with your vehicle, you will be unable to physically bolt down the seat. If you lack sufficient physical space or interior room, the seat might bolt up fine, but will not sit upright and in an appropriate orientation. Do I need to order custom seat brackets? Yes. Because of variations between floor shape and mounting locations across models, no single seat bracket can be used in every car. You will need a bracket made specifically for your vehicle in order to install any one of our seats. Thankfully they are affordable and easy to install. How tall are the custom seat brackets? Our seat brackets range from 3/4” to 3” tall. 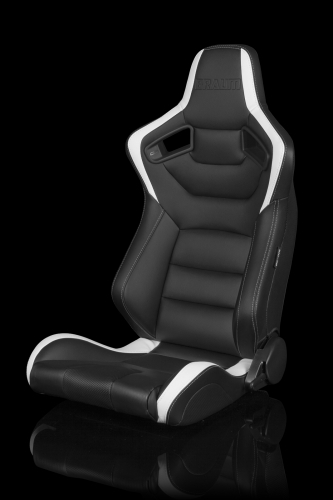 What is the production time for the custom seat brackets? 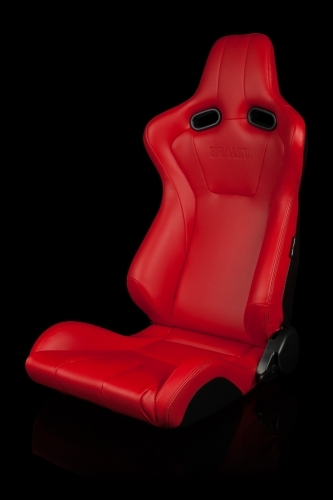 Are the seats compatible with factory air bags? If your vehicle came with airbag-equipped seats, you cannot legally replace any of them with aftermarket seats and drive on public roads. You will either need to leave your factory seats or dedicate your vehicle for track use only. What are the differences between 5PT & 6PT harnesses? The difference between 5-point and 6-point harnesses is the number of individual straps and attachment points on your chassis. Each strap originates from different mounting locations, but converge together at one point, near the belly button. Five point harnesses have—you guessed it—five individual straps: two shoulder straps, one draped over each shoulder, two around the waist, and one in-between the legs, around the crotch. Six point harnesses have one additional strap between the legs (one wrapped around each leg). The SFI and FIA rating these harnesses have been given signifies that they have been tested and proven to be safe for use in the most demanding racing conditions. If your sanctioning body conducts safety inspections, you must make sure your equipment is compliant. SFI-rated harnesses can be used for up to two years after their manufacturing date, while FIA harnesses can be used for up to five. Our 5 point harnesses are SFI approved, while our 6 point harnesses are FIA approved. 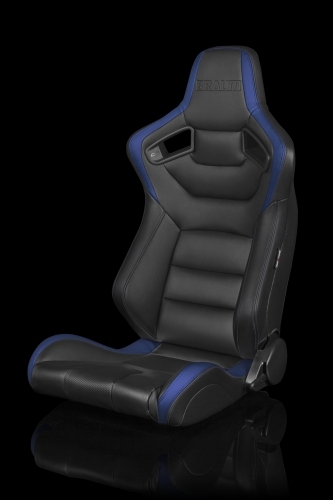 This means that, if your seat can accommodate them, our FIA-approved 6 point harnesses are the best choice for those with long-term plans for racing. Regardless, before making your purchase, please make sure to check the safety requirements of your specific local sanctioning body. What is the warranty for BRAUM products? Here at BRAUM Racing we stand behind our products. That’s why we offer a limited lifetime warranty for all BRAUM seats, seat brackets, harnesses, and harness bars. BRAUM Racing warrants to the original purchaser, that all of its products will be free from defects in materials and workmanship for the lifetime of the product. All products returned due to warranty, must have prior authorization from BRAUM Racing and proof of original purchase. This warranty does not cover freight charges that may be incurred. BRAUM Racing will either repair or replace, at our discretion, any parts found defective during the warranty period. The warranty does not cover products subjected to the following: accidents of any kind, negligence, alterations, regular wear and tear, abuse, improper installation, or high stress driving. Automobile racing, off road driving, and other forms of motor sports are very dangerous and products are subject to failure when exposed to the high stress involved. No warranty or representation is made to these products ability to protect the user from injury or death; the user expressly assumes any and all such risk. Replacement parts for physical damage may be offered by BRAUM Racing at an additional charge. This warranty covers manufacturing defects only; it does not cover physical damage caused by negligence, abuse, regular wear and tear, or improper use or installation. Any physical damage found will be assumed to result from improper handling during shipment, installation, or use. The warranty is good for the original owner of a product only. If you discover and inform us of a defect within 30 days of receiving the product, you have the option of returning the product for a full refund, including the initial shipping cost (when applicable). Return shipping will also be covered. After the thirty day period only a replacement will be an option. If there is no manufacturing defect found on the product and you simply no longer want it, returning or exchanging it is an option within 30 days of receiving the product only. However, you will need to cover the cost of return shipping as well as a 15% restocking fee. All of our products come with free ground shipping within the US 48 continental states . Once you receive your order, please inspect it immediately. All damage claims must be made prior to installation. If there are any problems with your order, please contact us at support@braumracing.com. If any items are missing, BRAUM Racing will send you the missing items/accessories for free within 30 days from your invoice date. If you decide to return any products, please refer to the sections below for guidance. Products must be returned to BRAUM Racing within 30 days for a credit or exchange from the invoice date. A Return Merchandise Authorization number (RMA #) must be requested from BRAUM Racing by contacting support@braumracing.com. The person facilitating the return is responsible for marking the RMA # on the outside of the shipping box for returns. Any products received without RMA will be refused. If you’re returning through a shipping carrier of your choice, select ground service and insure the item for full value of the merchandise being returned. Remember to mark the RMA # on the return package. Send your package to the BRAUM Racing return address provided by support@braumracing.com. Please allow us 7 business days from return receipt of merchandise to process a return. If the return reason is not valid or not as described, no credit will be issued or applied. Returns for non-defective products – All returned products that are not defective will only be accepted in new, sellable condition: uninstalled and unused with all original packaging. The purchaser is responsible for the shipping cost of non-defective products being returned to BRAUM Racing. Non-defective products will be credited at the original invoice price less original product shipping charges (free shipping not applicable to returns) and a product restocking fee of a minimum of 15% upon receipt of the return and item examination by BRAUM Racing. Product will not be credited if it is not in new, sellable condition or damaged in any way; in such cases the product restocking fee may increase up to 100%. Returns for incorrect shipments – For incorrect shipments, the invoice will be credited upon return receipt of merchandise and product examination by BRAUM Racing. Invoice will not be credited if BRAUM Racing does not find the product to be incorrect or if the product is not in new, sellable condition or damaged in any way. Replacements must be ordered again as a new order. Returns for defective products – Products returned due to defects in materials and workmanship will be repaired or replaced, at BRAUM Racing’s sole discretion. Products are subject to failure when exposed to accidents of any kind, negligence, alterations, abuse, improper installation, or high stress driving during automobile racing, off road driving, and other forms of motorsports. You are responsible for the shipping charges of any products returned 30 days after the original invoice date. If a repair cannot be made, the products selected for replacement must be of equal value to the returned products; if the replacement products are of a greater value than the original the products, an upgrade charge and additional shipping charge may apply. 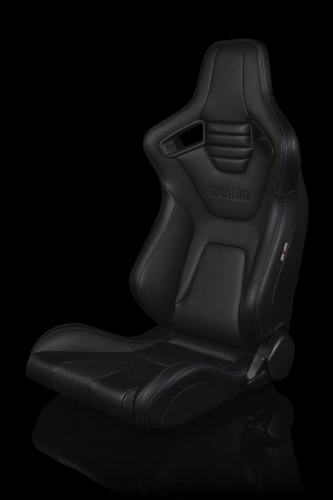 Project S’s installation video with our BRAUM ELITE Series seats. Alex A’s installation video with our BRAUM ADVAN Series seats. How do I become a BRAUM dealer? How do I clean or protect my seats? Normally, a simple vacuum and gentle scrub with a small amount of mild soap and warm water is sufficient. If you need to take more extreme measures, consult your local upholstery shop for the latest and greatest cleaning products. For more information please visit our blog page.